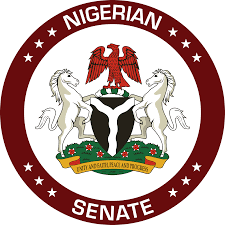 The Senate has resolved to investigate alleged recent reinstatement of a Deputy Police Commissioner, Mr. Danjuma Ibrahim, who was indicted by a judicial panel of inquiry set up in 2005 to probe killing of five young Igbo traders and a young lady in the Federal Capital Territory, Abuja. The resolution followed a Point of Order raised by Sen. Sonni Ogbuoji (PDP-Ebonyi) on the floor of plenary on Wednesday. Ogbuoji expressed concern that two police officers who operated under the directive of Ibrahim to kill the young traders were convicted but he was acquitted. He further expressed concern that the Police Service Commission (PSC) exonerated and reinstated the leader of the police team that committed the murder while his subordinates were severely punished. ”My personal explanation is on an incidence that took place that led to the death of six young people, five of them male and one a female at a police checkpoint. That incidence involved Ifeanyi Ozor, Chinedu Meniru, Isaac Ekene, Paulinus Ogbonna, Anthony Nwokike and Augustina Arebu. “The then President Olusegun Obasanjo, set up a judicial panel of inquiry because the police report was unacceptable to him when they insisted that those young people were armed robbers. “Following that, some police officers were found to have killed these young people. “They were then taken to court by the state. The commander of that particular police unit, one Danjuma Ibrahim, as we speak today, has been reinstated by the police. ”Also, one of them, Othman Abdulsalami, till today is at large. But the court on the 12th of last month sentenced two of the police men to death for murder. “One is worried that the commander of that particular patrol unit that killed what is now known as Apo six has been reinstated by the police whereas the police found others who were under his command culpable. ”This has generated a lot of tension among the people whose children were killed in cold blood. ”I call on the Senate to find out how one of the police officers is at large and the police is unable to trace his whereabouts till today, almost twelve years after. ”Also, one of them has been reinstated and reabsorbed into the Police Force. ”I urge the Senate to take interest to find out what has happened with this exercise, ” he said. In his remarks, the President of the Senate, Dr Bukola Saraki, asked Ogbuoji to bring a formal petition on the matter so that it would be referred to the Senate Committee on Ethics, Privileges and Public Petitions. He said, “I think this would have come under a petition so that we easily refer it to the Committee on Ethics, Privileges and Public Petitions but as a ranking Senator, we give you this privilege. Former President Olusegun Obasanjo had set up a panel of inquiry into alleged extra-judicial killing of five young men and a lady, said to be between ages between 21 and 25 on June 7, 2005. The police officers allegedly involved in the murder were placed on suspension following findings of the panel. Twelve years later, 2017, two of the officers were convicted and sentenced to death. However, the Federal Capital Territory (FCT) High Court presiding judge, Ishaq Bello, said there was no evidence to convict Mr. Danjuma, who was a Deputy Commissioner of Police and two others. The victims, Ifeanyi Ozor, Ekene Mgbe, Paulinus Ogbonna,, Chinedu Meniru, Anthony Nwokike and Augustina Arebu, were said to be returning from a night club when they were stopped at a police checkpoint. The police had claimed that the victims were members of an armed robbery gang that had opened fire on the officers when accosted at the checkpoint. The judicial panel of inquiry, however, found the police account to be false and recommended the trial of five officers for extra-judicial killings. The indicted officers are Danjuma Ibrahim, Othman Abdulsalami, Nicholas Zakaria, Ezekiel Acheneje, Baba Emmanuel, and Sadiq Salami.